John Pomeroy on horseback in 1908. This Pasadena photograph is looking south on Main Street from the La Porte Road (now the SH-225 Freeway). Book Topics: Early cattle industry, Samuel Allen Ranch, railroad development, new towns (Pasadena, Deepwater, Deer Park, Lomax, La Porte, Seabrook, Genoa and South Houston), local history, genealogy, Galveston Hurricane of 1900, strawberry farming, oil & gas industry, J. S. Cullinan, Houston Ship Channel, first airplane flight in Texas, World War I, school development, church development, Hoof & Mouth Disease, Hurricane of 1915, Sylvan Beach, refineries, Great Depression and medical practices. Research Materials: All of the research material for the book were donated to the San Jacinto College Central Library so that it would be publically available for anyone interested in the Pasadena area history. Unfortunately several years later San Jacinto College "repurposed" their holdings and their collections. The Texana Collection will be moved to the North and South Campuses and the Pomeroy Collection was moved to the Pasadena Main Library in 2011. In order to facilitate local history research the collection, plus the additional material from David's second book, Historic Pasadena, Texas, have been moved to the Pasadena Heritage Park in 2015. Additional contributions are encouraged as is research in the wealth of information that has already been collected. 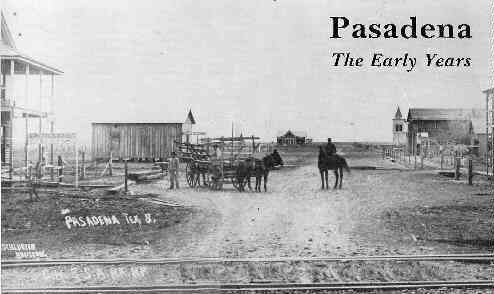 Pasadena, The Early Years is the book that chronicles the founding of the community of Pasadena, Texas in the early 1890s and its subsequent agricultural History. 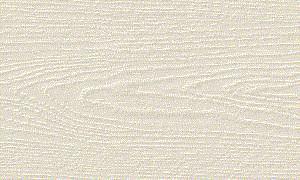 The story ends on the eve of World War II and the opening of Champion's (now Simpson) paper mill in 1937. With the neighboring petrochemical industries developing along the Houston Ship Channel and the subsequent demands unleashed by the war effort, Pasadena was transformed into an industrial community that has since grown to be the second largest city in Harris County and the fifteenth largest in the state. The history of Pasadena is the summation of the histories of those men and women who settled the area. They came to start over or to find new opportunities. The concept of a community, and the creation of Pasadena was the work of many individuals. They each helped lay the foundations: school, church, commerce, and government. In the end their labor bore fruit as their community blossomed into the city of "Pasadena." Pasadena, The Early Years records hundreds of individual memories and stories, weaving them into a saga of how people responded to adversity and opportunity. Over 200 photographs illustrate the people and the times of early Pasadena. The forces that shaped the community, both from within and from without, are explored. Each adversity, each opportunity, and each response built a strong foundation that enabled the community to easily and successfully shift from a small farming village to the booming industrial city of Pasadena, Texas. Pasadena, The Early Years: Hardback, 500 pages, 200+ photographs, Indexed, Bibliography, ISBN: 0-945010-00-1, $22.95 Out of Print. Check e-Bay for a used copy. A revised paperback edition bhas been in the works but now will be published as an eBook. I am embarrassingly behind on my work so please accept my apologies. San Jacinto Area Tourism Council invites you to visit other sites & events in the area. Come visit the Pasadena Strawberry Festival each May at the Pasadena Convention Center & Fairgrounds. The most unique historically themed restaurant in Texas was the Cowboy Ranch in Pasadena. It celebrated Pasadena's history. About the Author, C. David Pomeroy, Jr.
What else is David working on? e-mail for questions or to share information.